My current research examines how lesbian and gay K-12 music educators negotiate their professional identity and sexuality identity. This research is relatively new to the music education field. 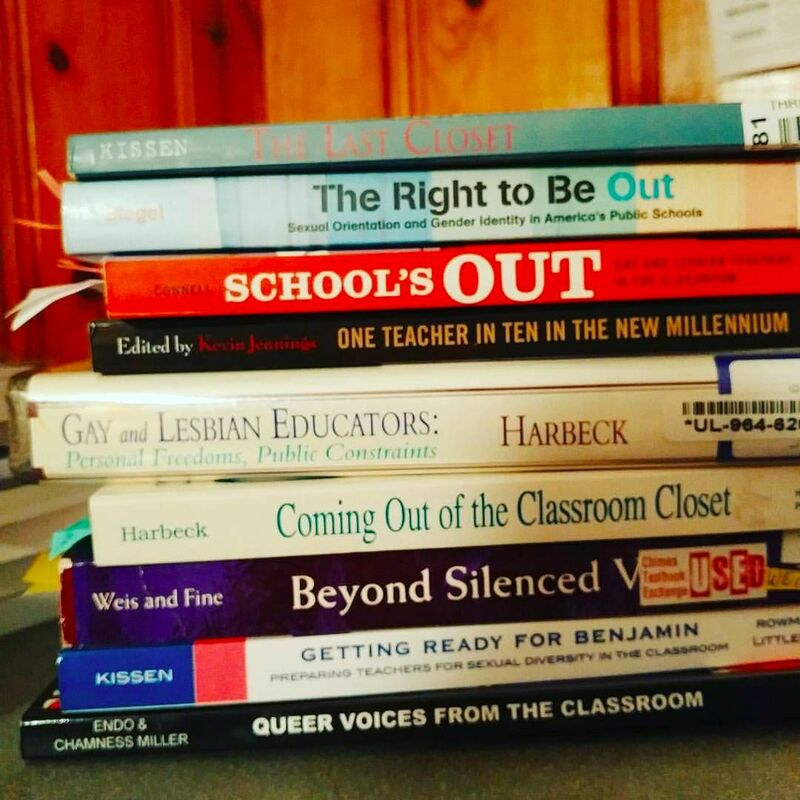 LGBTQ studies have been around for quite some time and there are many books and articles depicting the experiences of educators, but not so many references to music educators. It is my understanding that what makes this particular population so important and unique to the field of LGBTQ studies in music education are the enduring and lasting relationships we often experience with our students. Additionally, the presence of gay and lesbian composers and instrumentalists is prevalent in history and contemporary society, but we often do not bring these discussions into our classrooms. Speaker notes are available by clicking on the 'settings' icon. This poster was presented at SMTE '17 (Society for Music Teacher Education) in Minneapolis, MN. The poster is one part of the literature review for my dissertation. Here is a link to the abstract.